If you've been waiting patiently for your top-of-the-line Google flagship phone to arrive, you won't have to wait too much longer. If you haven't been waiting patiently, you probably don't have long to wait either, but you should really be more gracious about it. 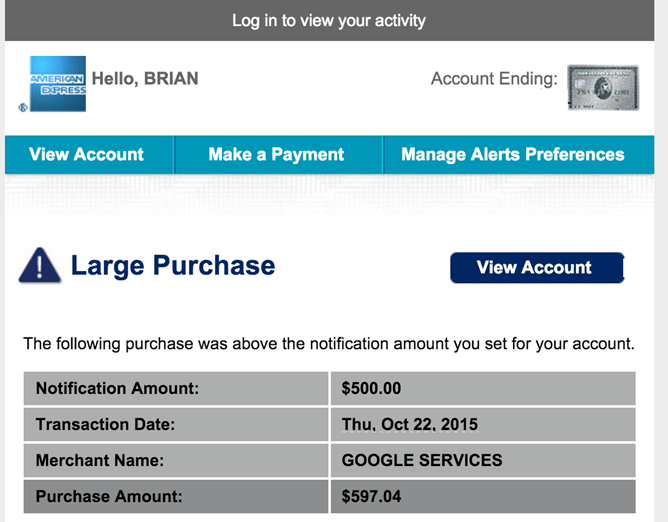 We've been sent reports from multiple Android Police readers saying that their credit cards have been charged after ordering the Nexus 6P on the Play Store, which typically means that they'll be shipped very soon. At this point, all of them are in the United States. These customers were presumably among the first to order the Nexus 6P from the Google Store, so those who got their orders in later will probably be looking at a week or more of delays. Though Google seems to have avoided most of the major pitfalls surrounding new Nexus device orders that plagued the system in previous years, the US version of the Google Store is still sold out of the Nexus 6P as of Wednesday. 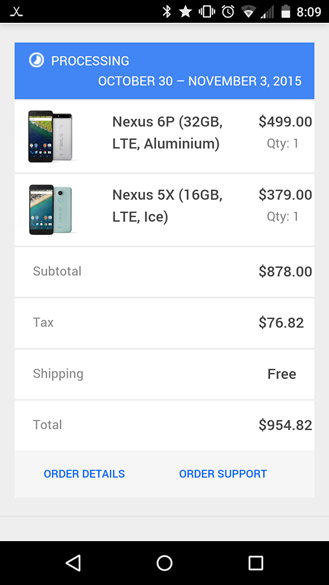 The cheaper Nexus 5X from LG began shipping on Monday, so at least a few of those who ordered one should now have it in their hands. If you're desperate for a little more information on your incoming phone, check out Liam Spradlin's preview. We haven't even had the review units in our hands long enough for a proper evaluation, but it should whet your appetite until the full and exhaustive Android Police review is ready.